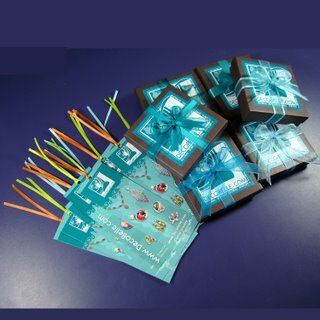 Free bookmarkers and new gift wrapping! Free bookmark with every order! These lovely page keepers include a coupon code on the back, that never expires, making them even more valuable! 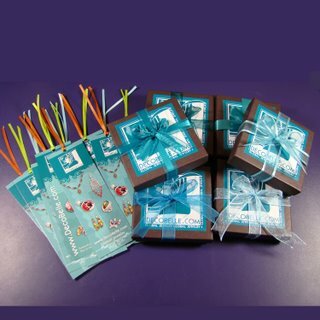 As always, with every purchase is included free gift wrapping. But now, we have upgraded our packaging to feature chocolate brown gift boxes, silver and white paisley gift tissue, and complimentary organza and satin ribbon. 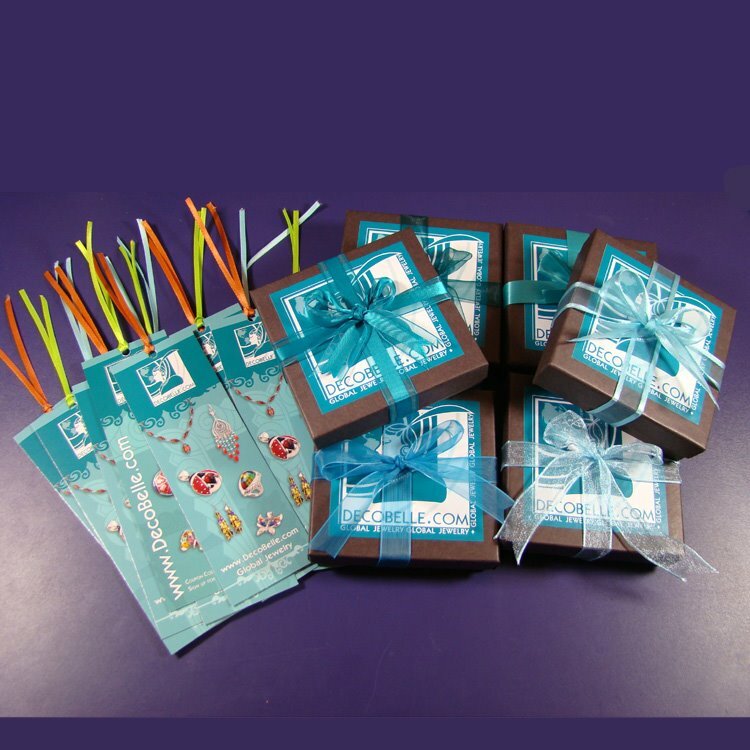 As can be seen in these images, we are still debating which exact ribbon color shade to choose for the final wrapping. By the next couple of weeks all of the gift packaging should include the final color selection, until then, enjoy the varying (and we mean really close) shades of teal! For our entire French jewelry collection, designed by Catherine Popesco, we include a certificate of authenticity, story card, and custom organza gift bag on each of our Paris items. Deco Belle brings you global jewelry at your fingertips!